Powerful connectivity, even in the remote areas of your home. Eliminate dead zones. Experience a stronger Wi-Fi signal. From the construction materials of your home, to alarm systems, microwaves, and cordless phones - there’s a lot that can interrupt your Wi-Fi connection. It can take more than moving your router to get rid of these dead zones. That’s where range extension solutions come in. WHICH SOLUTION IS RIGHT FOR YOUR HOME? Find out whether a wireless range extender, powerline adapter, or 4-in-1 access point will best suit your needs. BOOST YOUR ROUTER’S WIRELESS SIGNAL. A Wi-Fi Range Extender detects the Wi-Fi signal from your router and expands it throughout your home. 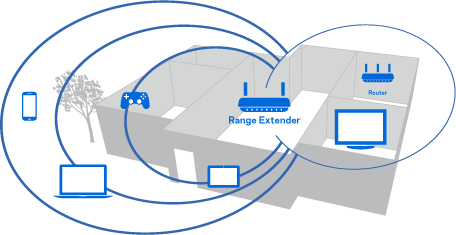 Linksys range extenders also come equipped with exclusive Spot Finder Technology, which helps you find optimal placement for your range extender using any mobile device. BRING HIGH-SPEED INTERNET TO WIRED DEVICES. Harness the power and stability of a wired connection without running wires across your home. 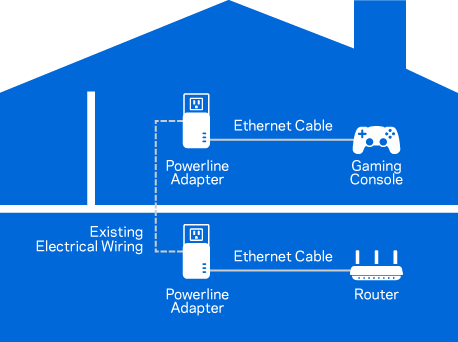 Powerline adapters use your home wiring like an Ethernet cable, sending Internet signal from your router to any active power outlet. Easy plug-and-play installation gets you gaming in no time. INCREASES WIRED & WIRELESS RANGE. 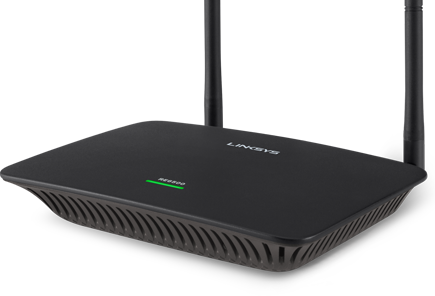 Linksys’ versatile 4-in-1 access point can be deployed several ways, depending on the kind of coverage you need. This unique device can amplify your router’s wireless signal, or bridge between wired and wireless networks in your home office.